The UK government's International Development Committee has just announced a new inquiry into tax and development. The scope of the inquiry, which we copy below, covers many issues close to TJN's key areas of concerns. The Committee is inviting written submissions by no later than 6th February 2012. Get writing! The link between taxation and development is fundamental. The failure to collect tax in developing countries is therefore a major concern. Poor revenue collection of property, wealth, income and sales taxes leaves developing countries with highly constrained budgets for the provision of basic services and poverty reduction. It also represents a missed opportunity to redistribute wealth and improve governance. Developing countries lose an estimated $160 billion each year through tax avoidance by multinational companies (including those based in the UK). Of particular concern are the extractive industries where payments to governments are often not disclosed and may not contribute to development or poverty reduction. 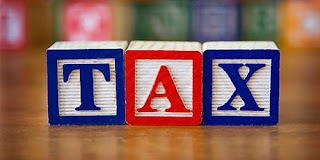 The International Development Committee is to begin an inquiry into tax in developing countries. The Committee will use Zambia as a case study due to its aid dependence (18% of the Government’s budget), high poverty levels (64% of the Zambian population live below the poverty line) and the large mining sector. The UK’s Department for International Development (DFID) is spending £59 million in the country each year until 2015. The deadline for submitting written evidence is Monday 6 February 2012. Be provided electronically in MS Word (no PDFs e-mail to indcom@parliament.uk. Submissions can also be sent by post to International Development Committee, House of Commons, 7 Millbank, London, SW1P 3JA.